Saturday on a cool, early spring time morning. These young anglers were ready and chompin’ at the bit. Tournament hours were safe daylight to 3:00p.m, with weigh-in at the “Adam’s Landing”. Nineteen young fishermen and their parent/guardians participated. 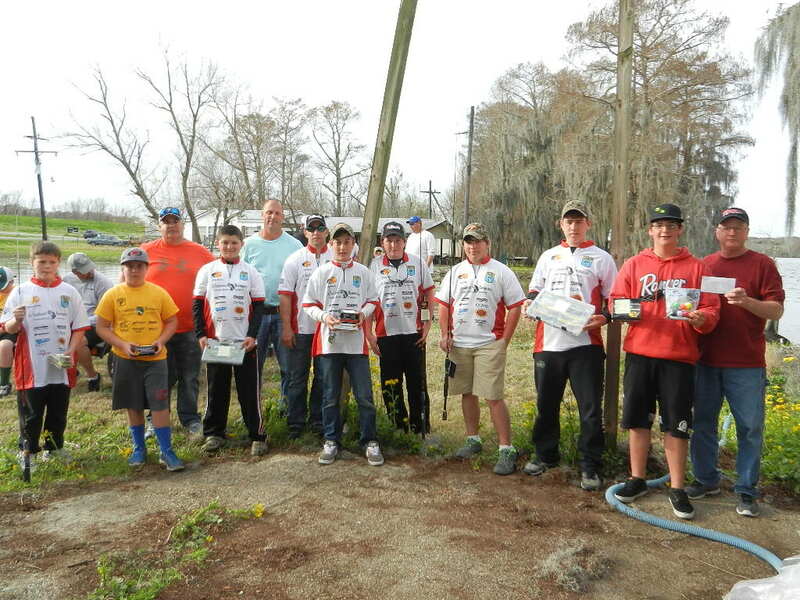 All but five of the Jr. Bassmasters weighed in fish in the tournament. That is not bad after all the rain and cold water we’ve had.